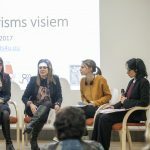 On 07th of December 2017, the Latvian organization of people with disabilities and their friends “Apeirons” held an international conference “Accessible Tourism for All” as part of the project “visits4u”, which is co-funded by the COSME programme of the European Union. The conference theme was on tourism accessibility for people with disabilities and developing inclusive tourism for everyone. 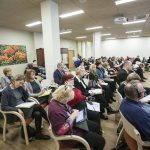 The conference began with presentations of policies and strategies on accessible tourism, and their implementation, by the European Commission and the Ministry of Economics in Latvia. The Municipalities of the Latvian towns of Jurmalas and Siguldas, presented what they have done respectively to make Tourism in their regions more accessible for people with disabilities. For example, the municipality in Jurmala earned the third place in the ‘Access City Award 2017’, the European prize that recognises good practice in making cities more accessible. This is a very good example how local authorities can work to make their cities accessible to everyone. Subsequently, different tourism businesses presented how they are involved in accessible tourism and what they do to improve the services they provide: Latvia’s States Forest main business is forest management but in their forest they have created tourism attractions and many of these attractions are accessible for people with disabilities in Latvia. The Latvian Museum of Natural History which is located in an inaccessible building and due to its cultural heritage status it is not easy to make changes in the building. However, the Museum have been actively seeking solutions to overcome the physical barriers of the building and improve the visitors’ experience in their premises. As a result, they are developing accessibility of their programmes and finding suitable alternative solutions where possible. The Latvian green movement, together with Apeirons, has created a Certification of Accessible Natural Places which will be awarded to natural places as a sign that they are accessible. Apeirons presented their mobile application of accessible places “Mapeirons”, where it is possible to find tourism attraction and other places what are accessible for people with disabilities. The final session of the conference was dedicated to the Visits4u project, presenting its progress since July 2016 and its outputs: the visits4u itineraries in Modern Art and Culture and in History and Heritage in Latvia (Sigulda and Riga), Spain (Reus and Tarragona) and Greece (Rhodes). 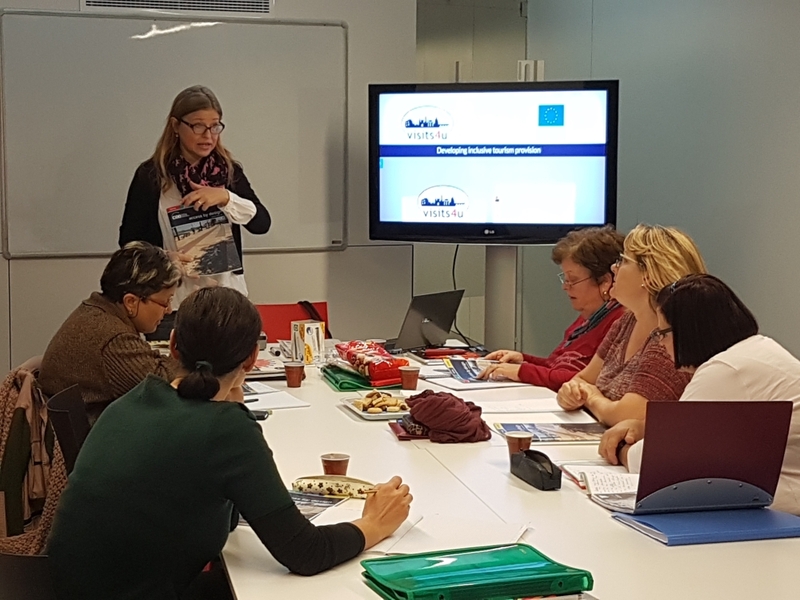 Furthermore, the visits4u online tools and resources were presented for the first time: Access Guides, Case Studies and Online Training modules, which are available for free via the project’s website. During the two discussion panels, visits4u partners – the Centre for Accessible Environments (UK), Asklipiades South Regional Social Protection and Solidarity Network (Greece), DomSpain Consulting LTD (Spain), Turin institution for the Deaf (Italy), Municipality of Rhodes (Greece), Nikanor LTD (Bulgaria), Apeirons (Latvia) – talked about their work as part of the project, their learning and ideas for future plans. Conference delegates had the opportunity to gain international theoretical and practical information on how to make tourism accessible to everyone. During the intervals delegates visited the conference’s exhibition on accessible tourism and environment where they could try different assistive equipment, watch the visits4u videos in Sign Language and get information materials on acessibility and accessible tourism. 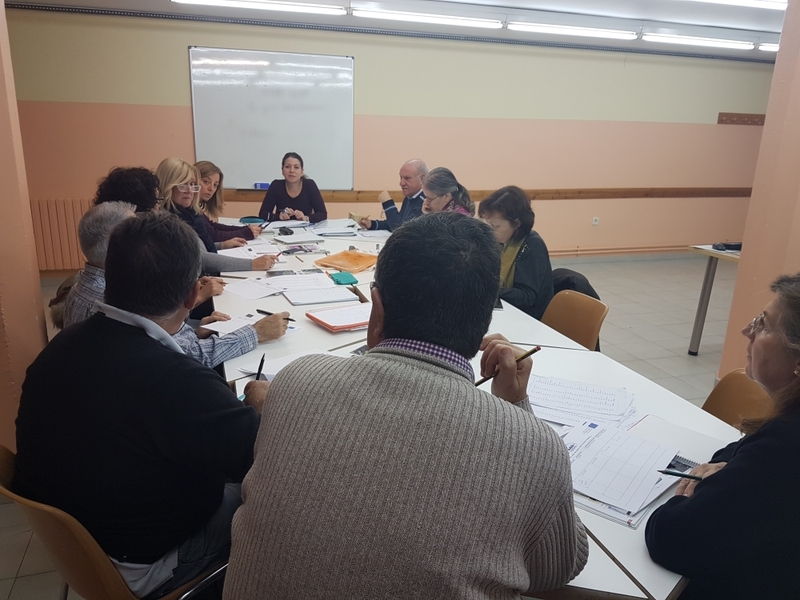 In November 2016 DomSpain Consulting ltd, the Spanish partner, organised 4 seminars targeting stakeholders of the Tarragona region from different sectors of the tourism industry (tourism offices, hotels, restaurants, shops, etc. ), technicians, decision-makers and local associations active in the field of tourism. 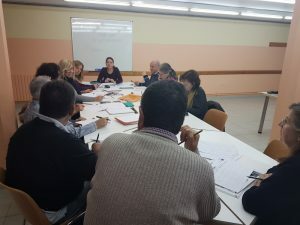 The main objectives of the seminars were to raise awareness of the participants on the issues related to inclusive tourism and travel provisions for customers with special needs as well as inspire the tourism stakeholders to take up an active role in the following phases of the visits4u project: mapping provisions for accessible routes in Reus and Tarragona, identifying inclusion challenges and, if possible, making adjustments to ensure participation in travel of tourists with specific access requirements. Olena Korzhykova, visits4u Project Leader for DomSpain, delivers the seminar to tourism professionals in Tarragona. The early promotion of the workshops, the time of the working sessions suitable for different groups (one group in the morning, another in the afternoon and two more groups in the evening) and direct contacts with potential participants helped encourage people and organisations of the province to get involved and brought about the diversity of the participants coming from different sectors of the tourism industry and society levels. Prior to the workshops, the majority of the participants declared their interest in the theme and motivation to collaborate with the team in further project activities and approximately 30% had a previous experience in working with tourists with special needs. During the sessions, participants came up with the conclusions that tourism stakeholders should be aware of and have an open-minded and non-discriminatory approach to tourists with special needs. 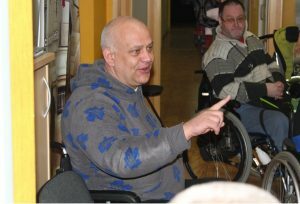 The importance of providing the right and detailed information while describing the level of access provision was also greatly emphasised: for example, a restaurant should not only inform clients about external and internal environment, but also about availability of Braille or large print menu, dietary requirements catered for, etc. This information is crucial as every tourist has different needs and this information will help to understand if this is the right place for him/her to choose or book. Olena Korzhykova, visits4u Project Leader for DomSpain, delivers the seminar to tourism professionals. The seminars also served as a platform to elaborate joint reflections on the importance of adequate education and training (formal or informal) for tourism industry workers and assume that only through taking up a responsibility and an active role by all tourism stakeholders is it realistic to create an environment where all tourists, with all their needs, are felt welcome.